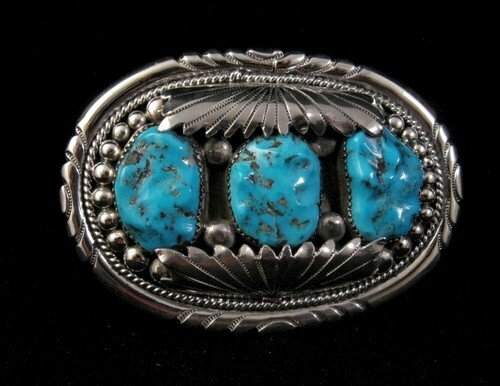 Up for your consideration is this brand new Native American handmade Sterling Silver buckle with three natural turquoise stones, created by Zuni master silversmiths Robert & Bernice Leekya. 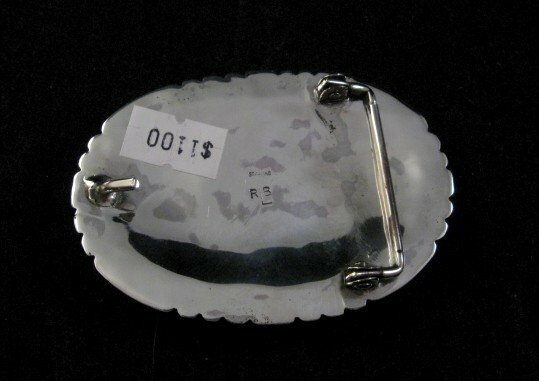 The main buckle measures 3-1/4 by 2-1/4 wide and weighs 65 grams. Brand new and in perfect condition. Hallmarked by the artists. Gift box & Certificate of Authenticity included with your purchase. 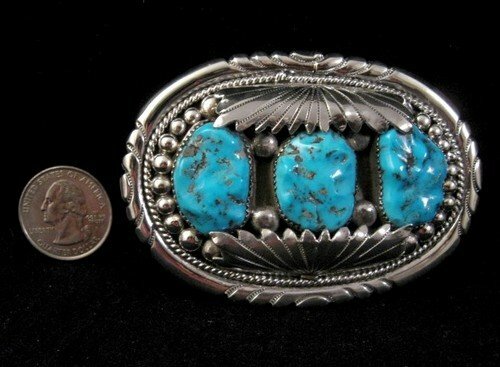 Robert Leekya is the son of famous Zuni jeweler Leekya Deyuse. His father began teaching him the art of jewelry making in the 1940's. In the 1950's. Robert began working in the nugget style. He and Dan Simplicio were among the first to make nugget jewelry. Robert & his wife Bernice have worked in both gold and silver.